Hey there! 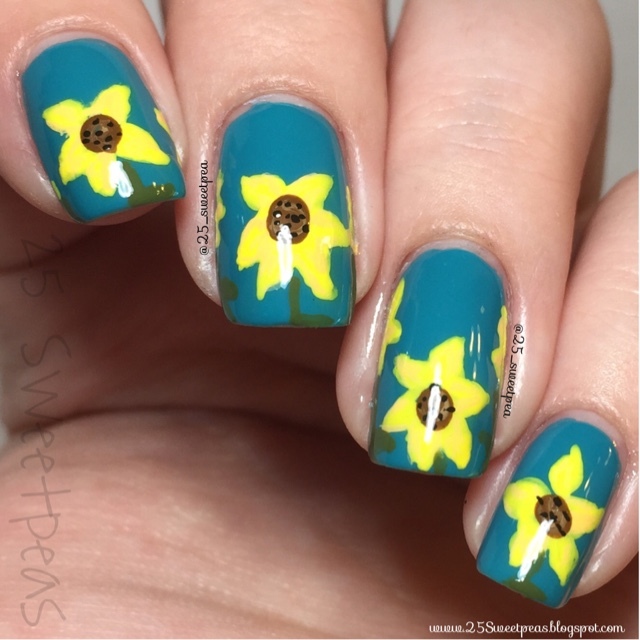 So today is day 3 of the #31DC2015 challenge and today's theme is yellow. I don't have a yellow polish believe it or not! 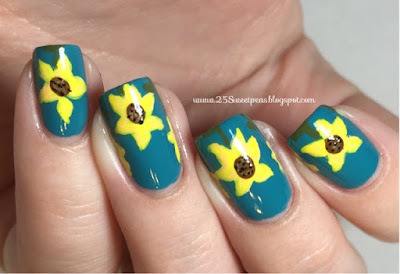 So I went for a sun flower design since they are yellow! This is going to sound silly but I don't like the way my skin looks with this polish on. I'm not sure why. It's just seems blah for some reason! Lol! I know it's weird but we all have some colors that look better on us! So for today tutorial I changed up the background again! I am going to be playing with some new backgrounds. I feel like the white for sure isn't good for designs with white and in them and I feel like the white background was getting a bit boring. That all being said I would love to know what you all like! !